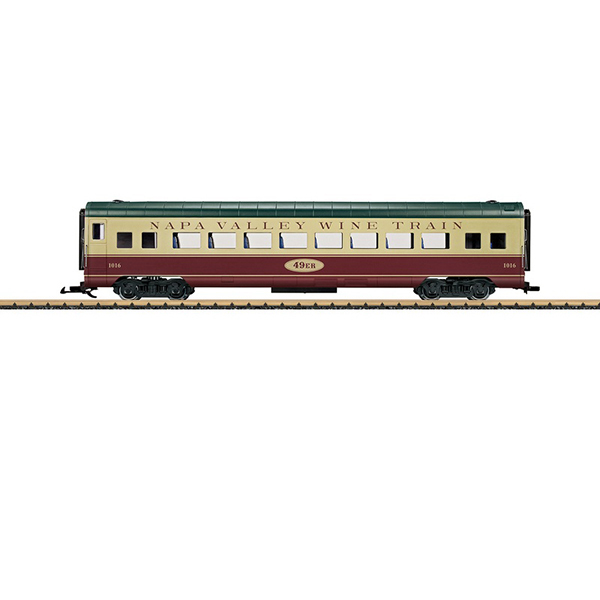 Model: This is an streamliner passenger car of the Napa Valley Wine Trains. Coloring and lettering according to epoch VI. Equipped as standard with complete interior and interior lighting. Metal wheel sets, including 2 ball bearing wheel sets for current collection. Length 76 cm. / 29-59/64".